The U.S. isn’t the only country integrating women into its submarine force. 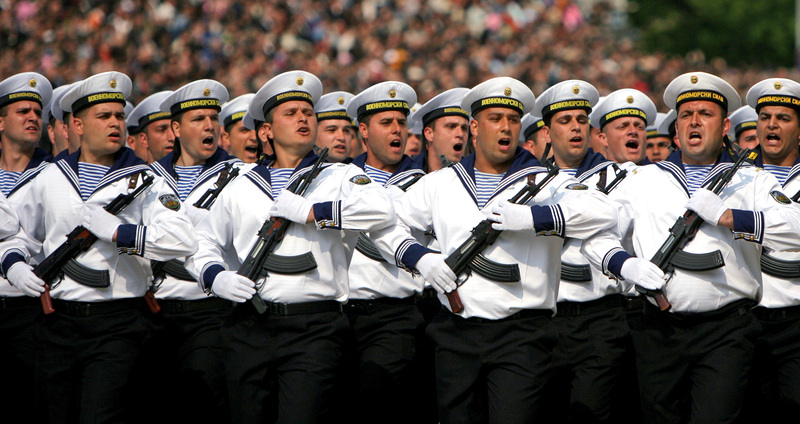 But the Bulgarian Navy’s new policy comes with a knotty Catch-22: Female sailors are suddenly welcome in the submarine service right as lawmakers decided to scrap the country’s only submarine. The sole submarine is all-but-extinct Soviet Romeo class diesel named the “Slava,” Bulgarian for “Glory.” The rust-covered boat has been inoperable for at least 10 years. Women, making up 14 percent of the Bulgarian armed forces, will be able to apply for submarines and the national guard now, as part of a larger military reform effort, the Agence France-Presse reported today. The changes came after two female military cadets, barred from the National Guard, sued the Defense Ministry for discrimination in August.